Shannon Ward: Your book demonstrates how children in São Gabriel actively respond to discourse that frames Indigeneity as performance, by acting out Indigeneity as a set of symbols distinct from the realm of everyday life. You also explain that youth, facing the realities of urban poverty, substance abuse, and violence, often look to non-Indigenous symbols of material wealth for aspiration. Do you see any hope for mobilizing the resources necessary to give children and youth space for building their own meaningful cultural practices, as part of a shared identity as urban Indigenous youth? Sarah Shulist: I absolutely see hope for youth to find creative ways to build “meaningful cultural practices”, and I think they definitely are doing so already. I should note that the story about “performing” Indigeneity really highlights more about what the little girl’s parents thought than what she herself was doing (because she herself was very young), which illustrates that even the adults have a complicated relationship to the balance between the symbolic form of Indigeneity and a more “lived in” one. I found that older teens and young people in their 20s were very committed to their vision of themselves as urban Indigenous people, however, and really resisted the discourses of rigid cultural “purity” that some powerful people advocated. They were creating theatre groups, developing radio programs, and starting hip-hop dance/song workshops, and in all of these they really wanted to use Indigenous stories and themes in ways that resonated with their “modern” views of themselves. This was also situated as a way of ensuring that kids would have sources of social strength that would help prevent them from becoming involved in drug trafficking and other risks. One of the most passionate young women I knew when I was there is now in her early 30s, and has become the head of a newly created municipal youth council, so her energy is being transferred forward in that context. Shannon Ward: Your book shows the challenges of cultural and linguistic transmission in a city, when concerns about Indigeneity are often framed through discussions of land rights and when Indigenous language practices are deeply tied to the realities of everyday agricultural life. How could the generally effective political mobilization of Indigenous peoples for rural land rights (pg. 41, for example) be replicated in urban spaces? Sarah Shulist: I think that one way to mobilize around language in urban areas would involve mobilizing more directly around language in and of itself, rather than as an extension of other rights – specifically, in this case, the right to ‘differentiated education.’ A lot of activism that has taken place around language has strategically looked for the openings provided within the legal structure of the Brazilian constitution, which makes perfect sense, but which has left the urban areas out. Now, with the recent election of a government that has promised to erase Indigenous land reserves, the risks associated with having all rights tied to these land recognitions become even more starkly clear. Language efforts can become ways of solidifying and strengthening community networks in urban areas, or across urban/rural movements, and so on. Language exists (or can exist) wherever speakers and potential speakers exist, so I have often seen the crux of urban language revitalization as based in the notion that “the community” needs to be created, rather than presumed to already be in a given place. At the same time, an aspect of Indigenous mobilization that’s happening here in Canada, and that I think is also important elsewhere, is a reminder that these cities are also built on colonized land, and that the Indigenous people living in them have a claim to ways of moving through those spaces that are often erased by separating out what “counts” as Indigenous lands as only referring to what we call “reserves” here, and “demarcated territories” there. It’s striking to look at a map of the municipality of São Gabriel and remember that the ‘seat’ of governance is the only part of it that is not considered to be Indigenous territory – this tiny island of non-Indigenous space from which everything is supposed to emanate – when of course the reasoning behind that is a purely colonial logic. Shannon Ward: In chapter 4, your discussion of Indigenous language pedagogy, specifically, Nheengatú classes that valorize literacy over other linguistic skills, seems relevant to discussions not only of language revitalization, but of language and literacy learning more broadly. What do you think the case of Nheengatú classes in São Gabriel can tell us more generally about the acquisition of literacy, and the challenges of implementing immersion-based learning in communities that may not value linguistic diversity as an element of everyday practice? Sarah Shulist: This is a great question, and it covers a lot of ground. I think the example of the Nheengatú classes fits within a much larger pattern of classroom-based views of ‘language’ that really emphasize not only literacy, but very particular forms of literacy. The diversity of literacy practices beyond schooled literacy have, of course, become an important topic within linguistic anthropology, and this research is part of what helped me to recognize the strength of that pull towards writing-centric ideologies in the Nheengatú classrooms. I think what I learned from the challenges facing Nheengatú language teachers was to be careful about dismissing the meaning and power behind teaching literacy. As someone trained in linguistics, I’ve definitely been influenced by the emphasis on orality, and I do think there is an important need, in language revitalization efforts, to orient toward supporting language in practice, rather than as an abstract grammatical system. But at the same time, I think there is a lot of meaning behind the literacy practices that we can sometimes dismiss too easily. While feelings about the inferiority of Indigenous languages are obviously rooted in internalizations of colonial logics, that doesn’t make them any less real or worth challenging, and having or learning writing in the language seems to have a lot of power to challenge those beliefs. The biggest challenge of implementing immersion schools in São Gabriel, I think, is less about a devaluation of multilingualism per se and more about a strong attachment to a specific view of what formal education is for, which is to learn how to move and succeed within a non-Indigenous world. Given that, I think the potential for immersion-based learning that is happening outside of schools is important to cultivate, and there are plenty of great examples of these types of strategies from around the world that could be applied in the Amazonian context. Shannon Ward: In chapter 7, you explain that cross-border migration is changing the linguistic ecology of São Gabriel How might cross-border alliances of Indigenous peoples in this region develop? How could such alliances mobilize Indigenous people to hold greater agency in urban places of habitation? Sarah Shulist: The question of cross-border migration within São Gabriel remains an ever-changing concern, and I think even in the year or so since I did the final read through of the book proofs, the dynamics of changed. Colombia has become more stable, while Venezuela’s economic and political crisis has deepened, and the results of the Brazilian election will also reshape the implications of being Indigenous in each of these three countries. I think the degree of unrest and the shifting dynamics make cross-border alliances and transnational advocacy groups into vital elements in this discussion, but in ways that I don’t think are predictable at this point. Shannon Ward: Brazil has recently faced several tragedies covered by international media, including the destruction of archives of Indigenous endangered languages at Brazil’s National Museum. How might this tragedy factor into future decisions surrounding the methods of language documentation and linguistic revitalization in São Gabriel? Sarah: I think working on language revitalization requires a degree of hopefulness – an imagination about a future social world in which Indigenous peoples have the space, both metaphorical and literal, to use their languages and live in ways that are holistically their own. I have, personally, found it difficult to maintain that hopeful vision given the recent tragic losses of the museum fire, as well as the election of Bolsonaro, who has said some truly frightening things about his desire to do away with even the most basic of Indigenous land protections. I think these events call us, as academic allies, to really rethink what our goals are with respect to language revitalization. Documentation and “preservation”, as in the museum, have long been recognized as incomplete, and also, in many ways, as products of an extractive colonial ideology that puts the language down on paper and takes it away from the community in which it is used (I wrote a post about this on my own blog in the immediate aftermath of the fire: https://anthropologyas.wordpress.com/2018/09/12/on-what-was-really-lost-in-the-fire/ ). Schools, likewise, are very expensive projects whose maintenance and value depend on constant reinvestment and buy-in from the colonial state, and the political whims of the moment really demonstrate how precarious it is to lay our hopes on this kind of a foundation. That’s my somewhat long-way-around introduction to saying that I think a lot of language documentation and revitalization, in São Gabriel in particular but also elsewhere, needs to really listen to Indigenous voices who are emphasizing radical re-imagining of what ‘language’ is and what it means to support its continued presence in their lives. I’m thinking of Indigenous scholars like Wesley Leonard and Jenny Davis, among others, here). A lot of academics are recognizing that any authentic desire to support Indigenous languages requires us to support Indigenous people, and not shy away from the messy human realities that entails. The museum fire was somewhat less devastating to languages in the Northwest Amazon region than it was to other areas, because most of them are still spoken by at least a small number of people, and good, recent documentation exists of many of them that was not housed in the Museu Nacional. I still hope that it will be taken as a powerful reminder that we need to refocus on language as inherently embedded in its social context, and on protecting the lifeways of the people who use it. Josh Reno: What were your primary goals in writing this book? Britt: Halvorson: One of my goals in writing this book was to shine light on the transforming relationships between independent national churches in Sub-Saharan Africa and American Christian churches formerly involved in colonial mission work. Humanitarian aid relationships have become one way that Christians increasingly attempt to “do good in the world” and address forms of inequality among Christians. Some characterize humanitarian aid programs as more ethical practices than previous colonial missionary work because they do not appear to interfere with the authority and sovereignty of African churches. I critically explore such programs and their claims by asking how variously positioned Christians understand their moral and political dimensions. I also look into how humanitarian sensibilities are transforming people’s practices and perceptions of global Christianity. Another goal in writing the book was to highlight the interpretive process and diverse valuations that occur through the material work of doing Christian aid. I have encountered studies of aid that smoothed out these activities or left the impression that aid workers operated similarly to fulfill organizational missions. Through my own aid labor and relationships with Christian aid workers in Minneapolis and Antananarivo, I experienced things differently: both Malagasy and American aid workers continually debated, imagined, and reflected on what doing aid meant and how they were implicated in that process. Medical technologies like x-ray machines were not static or single things per se but accorded varying meanings and values; aid workers pursued their relationships with God and each other through their aid labor; and a variety of absent presences pervaded aid activities, from the specter of colonial missionaries to a desired holism of body-soul not found in biomedical treatment. This insight led me to the deeper realization that Christian aid-giving is a process of religious interpretation. So I wanted to fill my account of aid with all the lived struggles and beautifully fraught moments of aid spaces. I wanted to show people “making do” among varying value systems in a kind of dynamic, improvisational ethical practice. What I mean by that is that doing aid—whether sorting donations of surgical scissors or writing reports on the uses of medical relief—shapes varying positions, critiques, interpretations, and ethical problems of global religious community. Medical supplies like syringes and bandages can operate as forms of religious mediation, much like the films, cassette sermons, monetary donations, clothing, and much more described in other anthropological studies of religion. The material and bureaucratic practices of medical aid may seem dry and dull on the surface. But, as I hope to have shown, they are the very stuff of vital questions about what it means to be an ethical Christian in the contemporary world. Josh Reno: In your analysis, conversionary sites play a key role as a way of conceptualizing how global medical aid changes as it crosses geographical distance, converting from one culturally meaningful form to another relative to religious sites and the practices and orientations of the actors involved. Can you describe what other work this idea performs in your analysis and what made it preferable to other possible approaches? 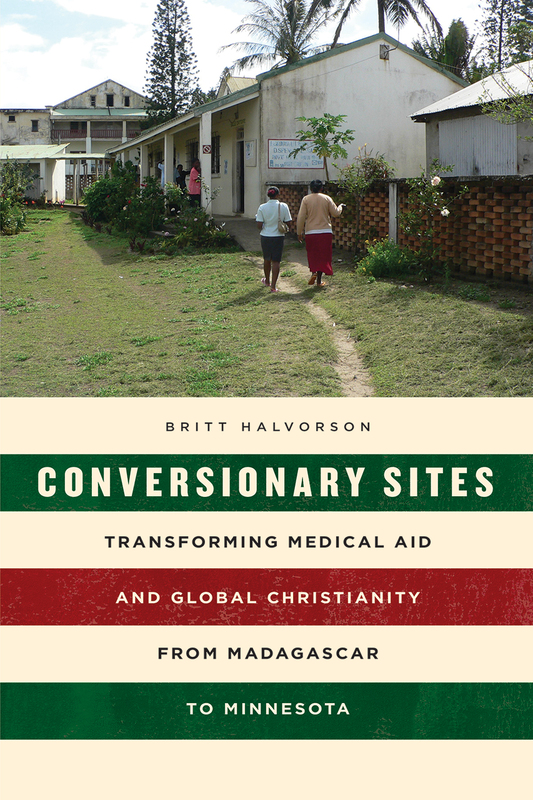 Britt Halvorson: I’ve used the term conversionary sites to draw out how Christian aid workers actively navigate the varying value regimes present in the Minnesota-Madagascar aid alliance. These include 1) ethical ideals of solidarity and mutuality among “global Christians,” 2) professional standards of accountability in bureaucratic humanitarianism, and 3) the resource inequalities of global medical commerce. Malagasy and American Christian aid workers constantly negotiate the asymmetries and gaps among these varying value regimes. This work is a key feature of the kind of Christian aid I studied and, I think, part of what makes it a meaningful practice for individual Christians; small uncertainties of value signal the creative leaps of faith that are central to Christian commitment. I consider conversionary sites to not only be the geographically-dispersed Christian aid spaces where I did research (aid warehouses, worship services, offices, house churches) but also the distinct material activities undertaken within those spaces. Aid laborers are not only seeking to, for example, morally redeem medical discards by praying over them or by associating “junk aid” with human sinfulness. Through the material transactions of aid, Americans and Malagasy involved in the aid program are also participating in an attempt to convert the moral foundation, ways of knowing, and practices of their prior relationship with each other under colonial missions. Conversionary sites therefore enables me to draw out these shifting values of past and present and look into “conversions” as moral relations that take shape in, and receive reinforcement from, the material activities of aid. While American Lutherans (ELCA) were formerly involved in direct, face-to-face evangelism in southern Madagascar for over a century (1888-2004), individuals previously engaged in overseas mission work are now converting their own moral practice and moral subjectivity to be in keeping with an aid-giving sensibility that ostensibly upholds Malagasy authority and sovereignty. Likewise, Malagasy Lutherans’ relationship with American Lutheran churches has shifted over the last forty years to focus partly on financial grants and in-kind aid resources that sustain church-run institutions. For both projects, “the colonial” is a negative moral force against which contemporary Christian humanitarian efforts are being defined. I find this fascinating and relevant at a time when academics, too, are taking part in decolonizing efforts. I’ve observed that, when imperialism can be embodied in the figure of the colonial missionary and “the colonial” is easily named, less scrutiny is given to the more thoroughgoing cultural practices that less obviously maintain forms of racial and political inequality. Josh Reno: Your ethnography examines the relationship of past colonization of Madagascar and present-day medical aid relationships, specifically the complicated and contested involvement of Lutheran missionaries in both. In what ways do varying temporalities become important to your analysis? Does this idea have relevance for other studies of humanitarianism, including those not focused explicitly on religious organizations? Britt Halverson: This question fits beautifully with what I was describing above. I argue in the book that Christian aid work is a practice in time and of time. What I mean by that is that people doing aid—whether Christian or of another religious affiliation, or ostensibly secular—are often comparing their work to other possible approaches, including past interventions and relationships. These other possibilities come to inform and define present approaches to aid-giving in complex ways. In this respect, the relationship of past and present is always “present” in aid efforts! But the pasts evoked are creative, selectively made constructions that speak to the concerns of the present. I came to think of the relationship of past and present as an historical resource that Christian aid workers variously used to define a morally upright approach to contemporary Christian humanitarianism. Some Malagasy Lutheran informants spoke of the relationship of past colonial American Lutheran missionary involvement in Madagascar as continuous with the aid program, rather than representing a sharp break with the past (as did some Americans). Additionally, other Malagasy informants referred to the colonial as an affective experience of déjà vu that called forth a subtle critique of specific qualities of the aid program. Recognizing the varying temporalities of aid work raises several interesting issues. One is the extent to which aid itself becomes a practice of historical reinscription, of reworking the past by defining present aid efforts as distinct from the practices of the past. This has the danger of downplaying the political and economic inequalities produced by Christian aid programs, as well as the thoroughgoing and very direct ways they build on specific Christian ties produced under colonial rule. A second question is how to connect these subtle ways that aid is a practice of time to the prevailing temporalities of aid described in the broader literature. Rather than intervening in a short-term crisis, the Christian aid program I study has been oriented around the much more enduring problem of economic inequality, which has no easily discernible end point. For my research participants, this long-term involvement raised questions about whether Christian aid programs addressing economic inequality should have an end or whether they constitute important, ongoing forms of world-making. But more secular humanitarian studies have certainly benefited from attention to the varying histories informing contemporary aid work. Attending to these questions on a finer scale—as I have tried to do—would mean looking into how relations of past and present constitute part of the ethical practice of humanitarian work. Josh Reno: Biospiritual imaginary is a key term for portions of the book that deal with part-whole metonymy and synecdoche as evidenced and enacted through bodies. What kind of work does your term biospiritual imaginary do for thinking about aid as a semiotic and linguistic practice? Britt Halverson: I’ve used the term “biospiritual imaginaries” to illuminate how aid work connects bodies, words and material things in particular ways that can be ideologically motivated. As is true for many, I was positively influenced in my graduate training at the University of Michigan by Judy Irvine and Susan Gal’s work on language ideologies and Webb Keane’s notion of semiotic ideologies. In addition to the rich literature on mediation in the anthropology of religion, I’ve also long been interested in multidisciplinary work on materiality and religious practice emerging from religious studies and art history. These distinct influences led me to consider Christian aid as a semiotic practice with, in this particular case, notably partial, fragmentary and incomplete notions of authoritative practice. For instance, the Minneapolis aid organizations exist at the ostensible margins of authoritative Lutheranism. They are not affiliated directly with one doctrinal view of Lutheran practice, they feature Lutheran volunteers of many different denominations, and the ordinary practices of aid labor (e.g., sorting, handling, and packing medical relief) repeatedly emphasize the significance of material aid objects to Christian practice. Organizational leadership sought to discursively frame these material and embodied experiences in particular ways that supported authoritative views of Lutheran aid practice. Yet aid work often prompted serious play among laypeople concerning the relations of the medical supplies they handled to their own bodies and to unseen but imagined wholes, such as the global Christian body or the medical patient body. Like other scholars in the anthropology of Christianity writing on ideologies, I aim to show how the interpretive work I’ve described as central to Christian aid work is always already “political” or ideological through the forms of agency, qualities and boundaries people variously draw between their words, material things, and bodies. I’ve wanted to demonstrate how aid practices are semiotic in this way, and to develop a fine-grained approach to the interesting, polyvalent ways aid work positions words, bodies and material things as communicative forms. Applying forms of linguistic and semiotic analysis to aid work can lead to new insights. The faith-based aid organizations where I did research are marginalized in their religious communities’ hierarchies of doctrinal and theological authority but are certainly not marginal to the religious experiences of laypeople. As such, aid agencies present an interesting space for tracking the creativity and multiplicity of Christian semiotic approaches and, even more, the necessarily partial and incomplete quality of a dominant Protestant Christian semiotic ideology. Harvey Stark: What inspired you to write Last Scene Underground and what one or two main things do you hope your readers will come away with? Roxanne Varzi: I was most inspired by the theater I saw while I was doing fieldwork in Iran, but it wasn’t until I was I was teaching visual anthropology at SOAS in London and was writing a lecture about how Jean Rouch’s documentary, Les Maitres Fous morphed into Jean Genet’s The Blacks and it occurred to me that there was a connection there that I could write about as an article in terms of how the Blacks is later interpreted in Iran by a young theater director, Hamed Taheri for a post-Revolution audience. I was interested too in what sorts of shifts happened in order to both radicalize and protect the budding theater movement in Tehran in the late 1990’s just after Mohammed Khatami’s election when the first real alternative artistic space in the Iranian public sphere began to form. Mostly I was interested in theater praxis as a political and a personal transformative art… How did practicing theater change the individual? What did it mean for notions of community and nation? The theater being done in Iran in 2000 inspired me to think about ways that I too, as an anthropologist, could push through boundaries–disciplinary, genre, political and personal to write about resistance, creativity and hope. To that end I wrote and re-wrote this ethnographic novel about a group of young Iranian college students who form an underground avant-garde theater group and, defying censorship and using other forms of social resistance and attempt to put on a play. I want readers to come away with a greater understanding of the complex cultural world that is Tehran. I’d also like them to question their own notions of selfhood and identity and to think about ways that we perform and practice those. 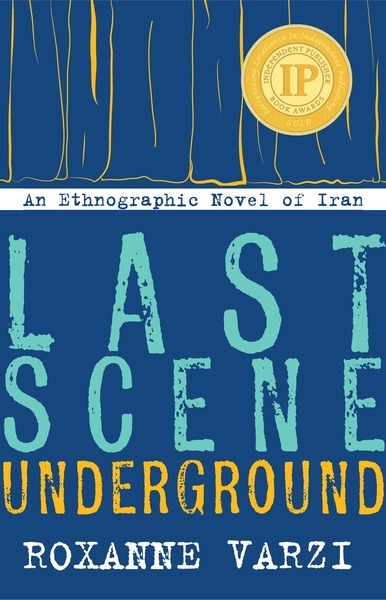 For the anthropologist reader I hope Last Scene Underground is also a meditation on the possibilities and limitations of ethnography as a genre and as a medium at this political juncture. The book mediates and channels lives through the filter of other lives, political and theoretical and disciplinary frames. It is also a political act in that it directly addresses the issue of censorship and the inability for an anthropologist like myself to write ethnography openly and hope to continue to work in Iran. Harvey Stark: One of the most fascinating things about your work is the liminal space that exists between ethnography and fiction. How do you want your readers to understand this space? 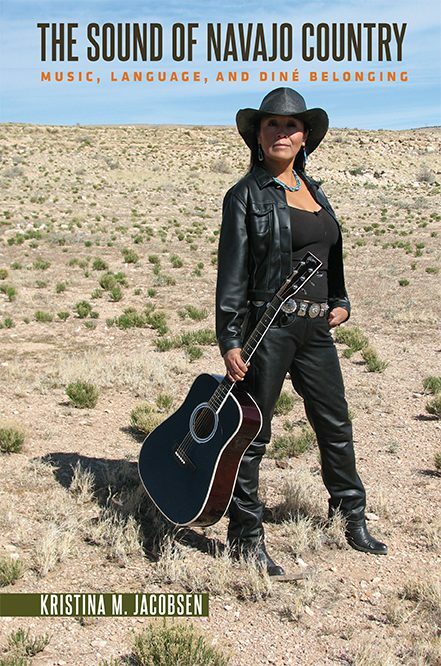 Roxanne Varzi: Throughout my first book I used a variety of narrative voices, from the academic first person, to the essay to fiction, creating characters and events while staying within historic and ethnographic facts based on my own research. I also used passages from my ethnographic field notes and from entries quoted verbatim from either my diary or from the journals of my interlocutors. This second book experiments further with a new ethnographic form for my research findings. An ethnographic novel that is at once an act of experimentation and one that will protect my subjects and my future as an anthropologist of Iran. 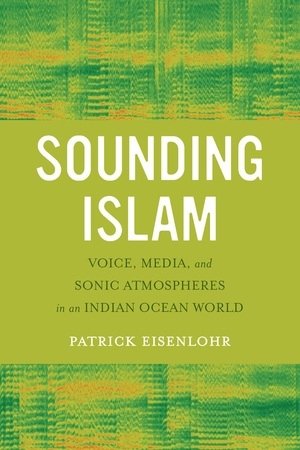 Writing ethnographic fiction allowed me to stay away from political specificities that might link a particular theater moment or individual to a particular political moment in time, be it 1999 (the dormitory protests in Iran) or 2009 (the green movement) while maintaining the ethnographic specificities at the heart of this theater movement. The book has two convergent narratives that are wound around one another. There is the “fictionalized ethnographic story” and “the director’s notes” — a fictional notebook kept by a fictional theater director but with real notes that are a culmination of my research, which ranged from the people whom I interviewed and plays that I read and watched to my reflections, observations and interpretations. They assume the responsibility of the writer and anthropologist to inform the story. In short, they are partially a version of my own notes from the field but fictionalized to the degree that nothing was included that an Iranian character like the director would not he himself have known or read. They contain what as well would ordinarily be found in academic footnotes. This allows all information equal footing…nothing is hidden away underground as it were in a smaller font and easily ignored as footnotes and endnotes often are. Throughout is a story about representation, about manufacturing knowledge and lives, censorship and the role of creativity in social change. Harvey Stark: Can you tell us about the complex and nuanced attitudes your characters have toward religion. Roxanne Varzi: Religion is a very personal practice that has been made public by virtue of folks living in a religious republic. I wanted to reclaim the notion of spirituality, which is the individual relationship with God and not one that is necessarily filtered through a nation-state, or even a strong religious organization. Harvey Stark: If pressed, what one character in the novel do you most identify with? Roxanne Varzi: Hooman, the director. The director’s notes are my notes…and I think I secretly I have wanted to write and direct plays my whole life. My first theater class was as a child in Iran… and now this year, as an anthropologist I am doing a rough reading at the AAA of my first play ever (not counting a children’s play I did as a theater director at a summer camp in the Sierras!). It feels like a very natural progression and not at all strange that it would be my field, anthropology, where I could make this happen! The military introduced this as a widespread practice starting in 1917, when the Committee on Classification of Personnel in the Army developed forms to standardizing practices for evaluating soldiers. Initially these forms were called application blanks, and were intended to accompany a cover letter that was supposed to be tailored to that particular company. (Thelen 1998: 64) Prior to the resume and application blank, cover letters could be more generic, but in the 1920s, authors offering job advice began encouraging applicants to write a letter addressed specifically to that company, and ideally, to a specific named potential employer. Thelen, Erik. 1998. “The Evolution of the Application Letter in America: 1880-1960.” Phd Thesis. University of Wisconsin-Milwaukee. The first mention of informational interviews that I can find is in 1975 – the first volume of Women’s Work suggests that women conduct informational interviews about the jobs in which they might be interested. Tom Janz introduces this approach at a conference in 1977, but only addresses it in print in his 1982 article “Initial Comparisons of Patterned Behavior Description Interviews versus Unstructured Interviews.” in the Journal of Applied Psychology 67(5): 577-580. In 1986, Tom Janz had published his book, Behavior Description Interviewing in which he recommended that people deploy the SHARE Model to structure their answers when responding to a behavioral interview. Over time, this has morphed into at least two other acronyms that I have come across during my fieldwork – the STAR model and the PSR model. S Describe a specific Situation. H Identify Hindrances or challenges. E Evaluate or summarize what you learned. By the time the Webster dictionary started defining intelligence offices, employment bureaus which were free to the job-seeker had already been well-established. In the 1850s, the New York YMCA branch offered services similar to intelligence offices, hoping to help the young men who were boarding at the YMCA find jobs. In 1866, the Chicago YMCA became concerned that Civil War vets were having trouble finding jobs when they returned home, and hired a man to work full time on job placement, and in 1875, he had placed 4,000 men that year alone (Hopkins 1951). Starting in perhaps the late 1880s, the widespread distrust of private employment bureaus sparked an interest in having government-run employment bureaus. The Colorado Bureau of Labor Statistics in 1887-1889 publishes the first official statement advocating for government involvement in labor exchanges (Sautter 1983: 375). But this attempt did not succeed in the Colorado state legislature. Instead, the first government agencies were established in Ohio in 1890, in part because the Ohio Labor Commissoner was so impressed by Parisian employment bureaus, and was able to persuade the Ohio legislature to create agencies in the state’s five biggest cities (Sautter 1983: 382). While in Ohio, the government-run employment agencies were relatively successful, other states found it more difficult to serve a wide range of clients well. The New York agency closed in 1906, after being open only 10 years, in part because it had devolved into only helping workers in domestic service. At the time, there were over 800 commercial employment bureaus in the city. Unions, meanwhile, were suspicious of these charitable and government bureaus, and believed that part of their function was to help employers easily hire strike-breakers. Hopkins, Charles Howard. 1951. History of the Y.M.C.A in North America. New York: Association Press. Savickas, M. L., & Baker, D. B. 2005. The History of Vocational Psychology: Antecedents, Origin, and Early Development. In W. B. Walsh & M. L. Savickas (Eds. ), Contemporary topics in vocational psychology. Handbook of vocational psychology: Theory, research, and practice (pp. 15-50). Mahwah, NJ: Lawrence Erlbaum Associates. Sautter, Udo. 1983. “North American Government Labor Agencies Before World War One: A Cure for Unemployment?” Labor History 24(3): 366-393. American newspapers carried announcements about jobs from as early as 1705. The first job ad I found was in The Boston News-Letter, asking for a “single able man to drive a team in Boston.” (March 4, 1705; issue 98; page 4). A few job ads appeared in every newspaper, but they were clearly outnumbered by the other ads announcing goods or land for sale, or runaway indentured laborers or slaves. In a newspaper filled with approximately 400 ads, there might be 4 ads about hiring someone. And these ads were as likely to be ads in which the person was seeking a position as much as an employer looking to hire. Most of the job ads until around 1750 weren’t even what we might consider proper bjob ads. They advertised indentured servants, asking if anyone wanted to buy their time. It wasn’t until around 1825 that newspapers began to carry a substantial number of job ads. A few years later, ads began to run for factory workers. People tended to advertise for apprentices, cooks, maids, and wet nurses. Women were as likely to be requested or advertise themselves as available in a newspaper ad as men, although it was always clear which jobs could be filled by women and which by men. Around 1785, jobs ads began to discuss whether the applicant should be black or white, and black people might also be likely to advertise that they were looking for a position. In 1790, George Washington, or at least “the family of the President of the United States” advertised that they are looking for a cook and a coachman. Around the 1830’s, newspapers began to clump ads together – beforehand job ads would be scattered throughout the newspaper, interspersed with everything else being advertised. Clumping was not adopted uniformly, and it wasn’t until 1856 that newspapers began to reliably have “help wanted” and “situation wanted sections.” At some point around 1856, newspapers began to split the help wanted section based on gender – lumping ads for help-wanted females or situation-wanted females together, as well as help-wanted males or situation-wanted males. Given how gender specific jobs were at this period, the division isn’t surprising at all. This however didn’t happen in all newspapers at the same time, and indeed, ten years later, newspapers such as the Providence Evening Press still hadn’t adopted this way of classifying ads. Once established, this division was a practice which would continue until the Civil Rights Act legislated against it in 1964. There are a few other things to note about what early job ads can reveal about how information about jobs circulated in those days. Until around 1795, employers did not suggest being contacted directly. Instead applicants were supposed to ask the Postmaster about the job details, or ask the printer. After 1795, job ads often mentioned exact street addresses where named people could be approached about the job. Recommendations were occasionally asked for – sometimes employers wanted an applicant to be well-recommended, sometimes a job seeker promised that he or she came with good recommendations. While recommendations weren’t discussed much until the early 1800s, between 1800 and 1805 it became commonplace for employers to insist that servants come with good recommendations. But that was the only thing asked for – there was no mention of resumes or interviews until much much later. In 1917, employers were paying for employee referrals – I had no idea that this practice has been so longstanding. (Baer 1917). As early as 1921, Kilduff in his job advice manual was strongly encouraging job-seekers to contact the hiring manager directly whenever possible, and circumvent the employment personnel bureau – which is what HR was called in those days. People have been trying to get around HR since 1921! While every job advice manual I have ever read recommends some form of networking (although the earliest mention of “networking” as a verb I can find is in 1977), this practice wasn’t very highly valued in the 1920s. In 1921, Norman Shidle warns prospective job-seekers not to rely too heavily on their personal connections. “The help of friends and relatives should not be ignored when you begin to seek a position, but such persons should not be relied upon as the main source of a job.” (Shidle 1921: 4) He is concerned that depending only on one’s social network will lead people to take the job that is most conveniently available, and not the one best suited to their temperament. Baer, A. K. 1917. “How We Lifted Hiring Out of the Rut.” In Handling Men. New York: A. W. Shaw Company: 9-12. Kilduff, Edward. 1921. How to Choose and Get a Better Job. New York: Harper and Brothers Publishers. Shidle, Norman. 1922. Finding your job: sound and practical business methods. New York: The Ronald Press Company.